The peace crane is one of the most recognized and popular origami pieces. In Japan, the crane represents peace and health. 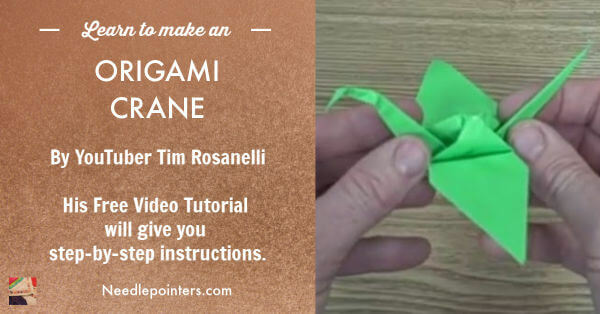 This video by Tim Rosanelli explains how to make a traditional origami Japanese peace crane. This origami crane employs some advanced folding techniques. 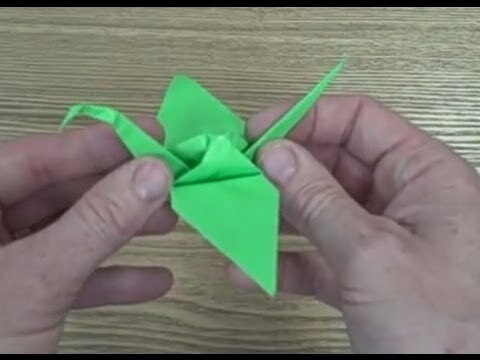 His step-by-step how to instructions will show you how to make the peace crane. Click to watch the Origami Crane video in Youtube. Origami is a great rainy or snowy day activity. All you need is paper to make these projects such as constructions paper, plain white paper, scrapbooking paper, magazine papers or newspaper. And as a added bonus these projects will keep kids from getting bored.